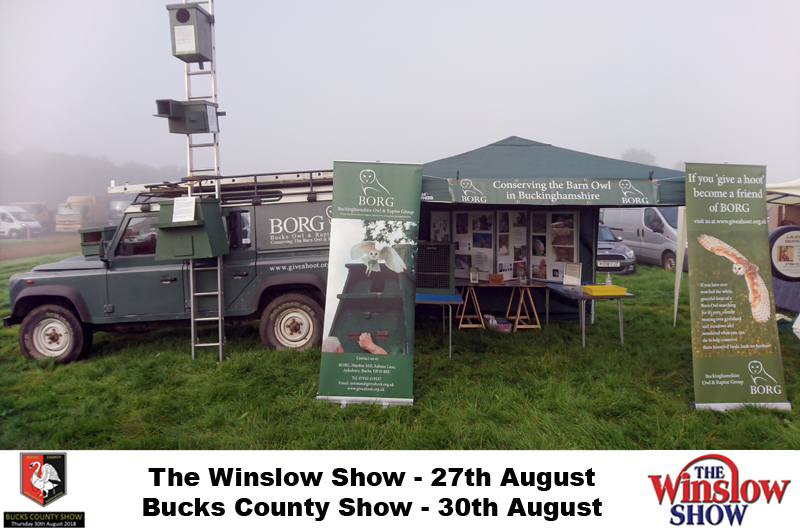 This is the time of the year we look forward to because not only is monitoring in full swing, we also get the chance to meet many of you at the counties summer shows. In recent years we’ve had the pleasure of your company at the Bucks County Show as well as Winslow Show. We’ll be at the Winslow Show this bank holiday Monday, 27th of August as well as the Bucks County show, Thursday 30th of August. We’ll be there with our trusty Land Rover displaying a range of our nest boxes, photos of our work and we’ll have owl pellets to dissect. We look forward to answering any questions you have about our conservation work and are hoping to recruit more friends of BORG to help us continue in our work, because without your help and support, we wouldn’t be able to do what we do! It’s a great chance for us to meet up with old friends and new, catching up with land owners and forging new relationships with people who share our interest in our local owls and raptors. "Please come along, we’d love to see you!"